Editor's Note: This article was originally written by Firebird Nest's writer Pete Dunton for the Old Car Memories online magazine - oldcarmemories.com in October 2012. At the beginning of the 1981 model year, the Trans Am was entering into its thirteen year of production and its twelfth year on GM's second generation F-body platform. The Trans Am had been successfully updated every few years during the second generation's twelve years and even though the basics were still the same since 1970, it looked a lot different by 1981 due to the modern front-end and rear-end styling which had been introduced for the 1979 model year. However by 1981 the Trans Am was really showing its age, most cars underwent massive shrinkage during the 1970s however the Trans Am was left untouched. By 1981 it was a heavy full-size 2+2 sport coupe with a curb weight of around 3,500 lbs which was way out of touch with the 1980s which demanded smaller, lighter, and more efficient cars. 2015 has just arrived and all the kudos from the automotive press are being directed towards the 2015 Dodge Challenger Hellcat and to a slightly lesser extend its 4-door brother the Dodge Charger Hellcat. The Challenger Hellcat is the ultimate and fastest production muscle car ever produced and the Charger Hellcat is the fastest production 4-door sedan ever produced - both cars have 707 horsepower on tap and achieve a 200 mph top speed. As earth shattering as this all seems, 31 years ago an auto magazine and a hot rodder proved it wasn't impossible to build a 200 mph street legal car that was civilized enough to be driven as a daily driver. Editor's Note: This article was originally written by Firebird Nest's writer Pete Dunton for the Old Car Memories online magazine - oldcarmemories.com in May 2012. Speciality and rarity are the two traits that buyers yearn for in a performance car. Back in 1984, buyers who wanted the most distinctive and rare new performance car that America had to offer didn't have to look any further than the 1984 Pontiac Trans Am 15th Anniversary Edition. With only 1,500 produced and a unique exterior color scheme, anyone with a half of brain knew this was no ordinary Trans Am but one destined to be a future collectible. Driving a 15th Anniversary Trans Am back then let everyone know that you were part of a special club. 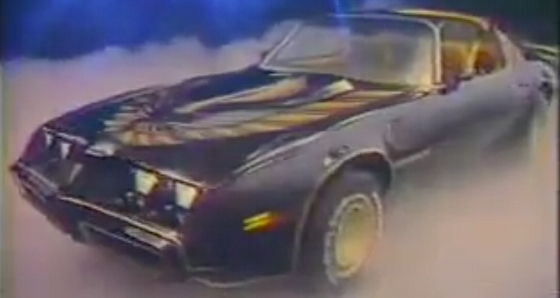 It was the most expensive and exclusive Trans Am back in 1984. It was no secret that GM's F-body platform was getting long in the tooth by the late 1970s having been around since the 1970 model year. Fortunately Pontiac didn't get the memo and just kept improving on its Trans Am which was built on the F-body platform. Buyers liked what Pontiac offered and 116,535 Trans Ams were produced for the 1979 model year - by far the best year of Trans Am sales. For 1980, the Corporate Average Fuel Economy (CAFE) standards and emissions regulations had been kicked up a notch, so the big cubic inches were gone. 1972 Pontiac Trans Am - Stale Bread?